Aliza (Ali) Schechter is devoted to the dancing path. 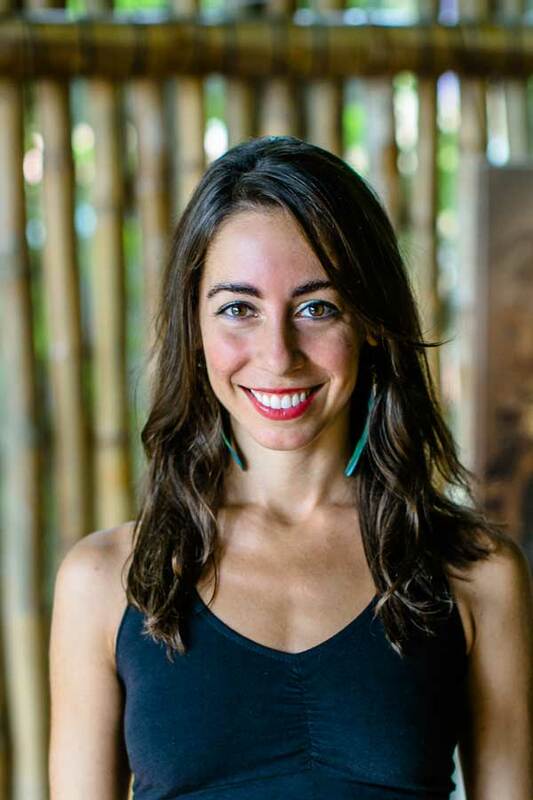 A lifelong dancer and Board Certified Dance/Movement Therapist, she recently followed a soul call to Danyasa, trading the concrete jungle of New York City for the lush jungles of Costa Rica. Currently, Ali serves as Guest Liaison and Retreat Coordinator. She is so grateful to call Danyasa her home. Before moving to Dominical, Ali spent years dancing professionally and teaching yoga in NYC. She earned her BA in Dance and English from Columbia University and an MS in Dance/Movement Therapy from Sarah Lawrence College. Ali completed her 200-hour yoga certification at OM Yoga Center, and is also a certified Relax & Renew Restorative Yoga teacher. In 2014, she was ordained as a priestess via Kohenet: The Hebrew Priestess Institute. As a dance therapist, Ali has worked extensively in geriatric care, sharing movement as a therapeutic tool for elderly clients with a range of physical and cognitive abilities. She is the founder of Full Circle Dance, an advocacy initiative to improve quality of life for the elderly through movement. Ali has had the honor of dancing with hundreds people as they approached the end of their lives, watching movement transform eldercare environments into places of aliveness, connection and play. Ali believes that within every death is the potential for rebirth. As we collectively dream a new paradigm into being, shedding the old stories, Ali aims to help others hear their embodied knowing and rebirth themselves anew. She draws inspiration from a range of movement practices including the 5Rhythms, Continuum, Authentic Movement and most recently, Temple Body Arts. Her offerings at Danyasa include a monthly Full Moon Ecstatic Dance, periodic yoga classes, and private dance therapy sessions. As the Guest Liaison, Ali is here to support you in creating your dream stay at Danyasa!